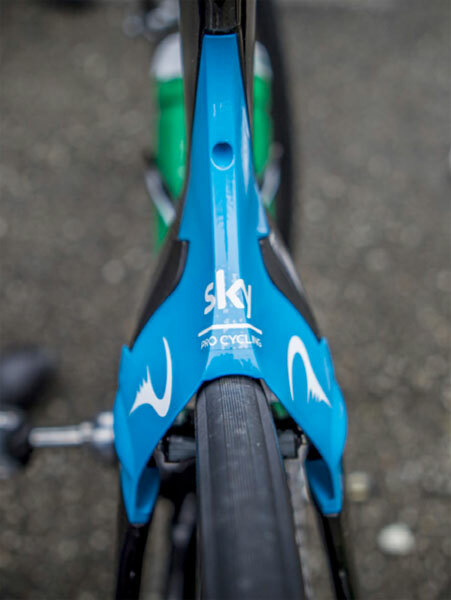 When Bradley Wiggins sets off on his quest to win the Giro d’Italia this coming weekend he’ll be able to take reassurance from the fact that not only is he one of the finest time triallists of his generation but also that his bike sponsor has his back. 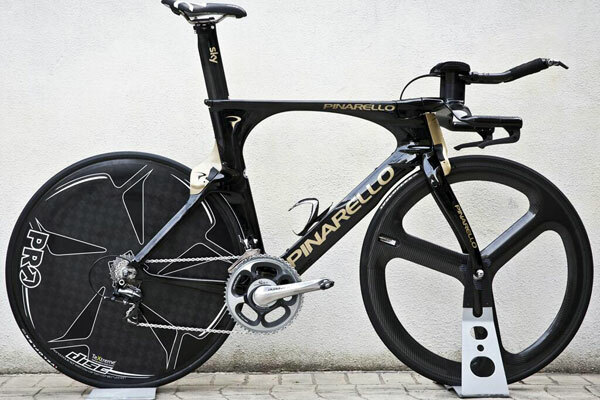 Launched to coincide with Bradley’s Giro attempt is an all-new time trial machine from Italian brand Pinarello. Taking over from the Graal, which made its debut at the 2010 Giro, the Bolide looks to be a suitably sizeable step forward. 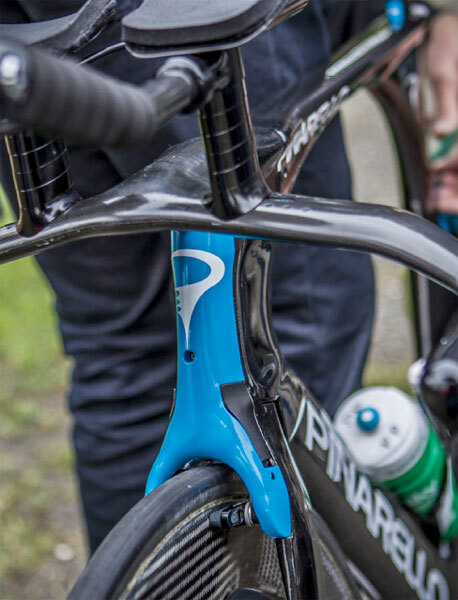 Pinarello’s own information states that the Bolide has 15 per cent less drag than a comparable Graal and whilst that’s certainly a big step we were no less surprised to see that they’re stating a five per cent decrease in the total weight. Given that the Graal was one of the lightest TT bikes on the market that’s quite a step and it’s not clear quite where the improvement has come. 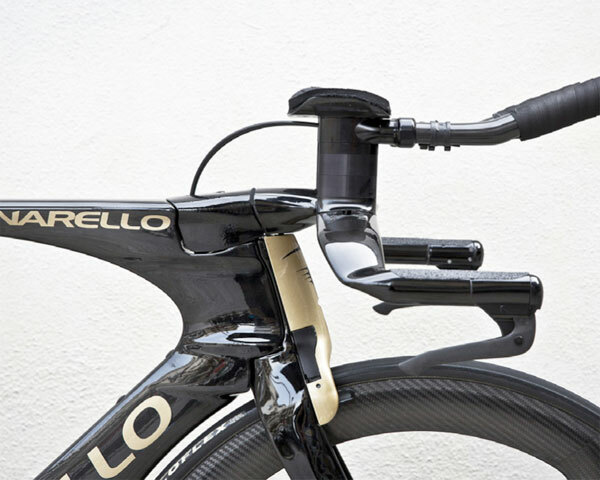 What is sure is that the bike will also be stiffer, the use of an oversized headset along with incorporation of the highest grade of Pinarello’s carbon, lifted straight from the new Dogma, 65HM1K makes sure of that. 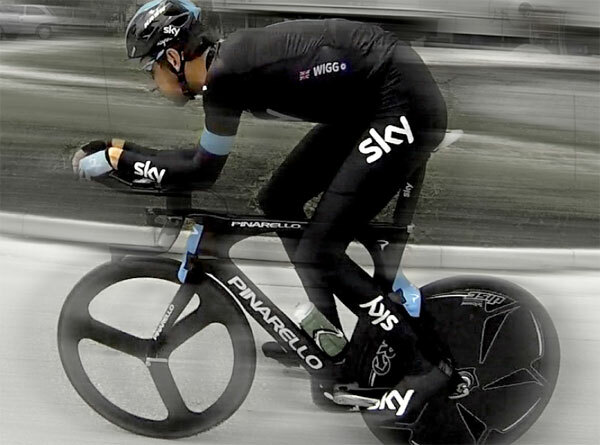 Design of the new bike is obviously with Pinarello but you can bet that Sky and the key people at British Cycling, both of whom know a thing or two about aerodynamics, have also played there part too. 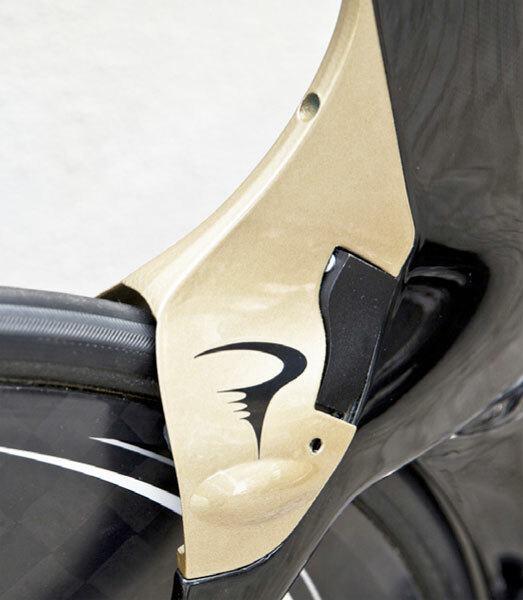 And as everything that goes around comes around it’s nice to see the Campagnolo Delta brakes of yesteryear getting a nod in Pinarello’s 2014 TT machine.